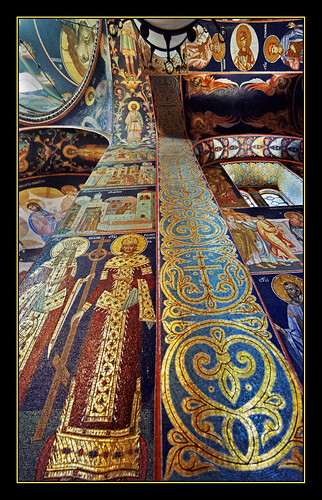 The church of St. George – Mosaic, originally uploaded by Akcija “Putujemo zajedno”. The church of St. George and the mausoleum of the Karađorđević dynasty was built at the top of Mali Oplenac (Little Oplenac). King Petar I decided to build a church and a mausoleum for both his ancestors and descendants to fulfil a wish of his parents buried in Vienna. The church is covered with white marble from nearby Venčac mine. 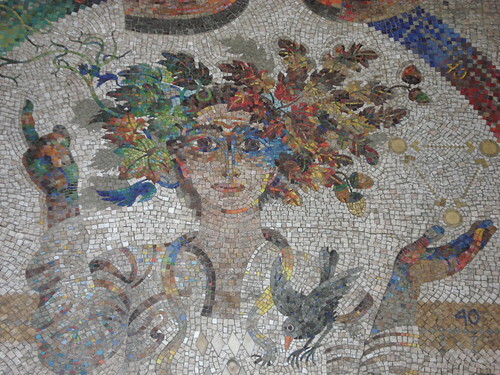 Interior is covered in mosaics, with more than 6 million pieces. 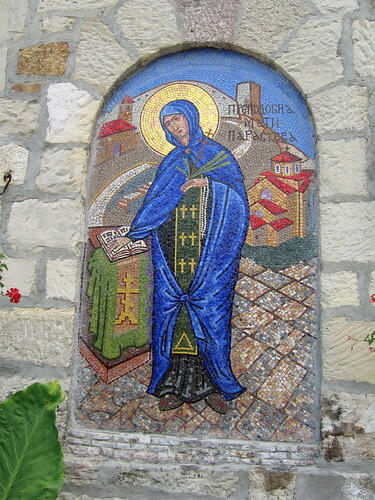 Mosaics of Romuliana, originally uploaded by svetslike. Gamzigradska Banja (Gamzigrad Spa) is situated in the eastern Serbia, at the height of 160 m above sea level. It is located south of the Danube near Zaječar.It is said for Gamzigradska Banja that it is “a warm water in a cold river“. Natural springs of warm mineral water are situated in the riverbed of the river Crni Timok and on its left bank. In the near vicinity of the Spa there are ruins of the Roman City Felix Romuliana. The Felix Romuliana (Galerie’s Palace) in Gamzigrad was the metropolis of the Roman Emperor Gai Galerie Valerie Maxmillian, in late 3rd and early 4th century AD. By its findings, Gamzigrad ranks among the most representative Roman towns in the Balkans. Rich historic material (jewelry, money, tools, arms) found here bear witness of a great civilization in this region. Holy Local Colour, originally uploaded by supercooldave. Mosaic, originally uploaded by mijawara.